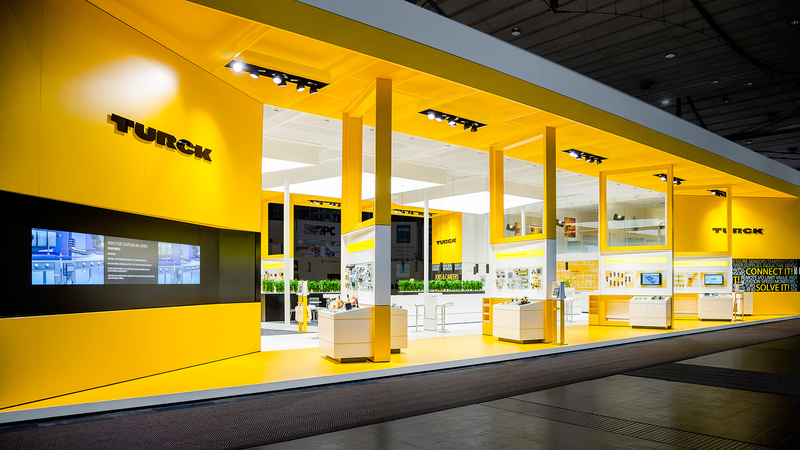 The family enterprise Turck GmbH & Co. KG presents itself for the first time with the design concept of D’art Design Gruppe at HMI 2014 and shows a skillful synergy of functionality and design. 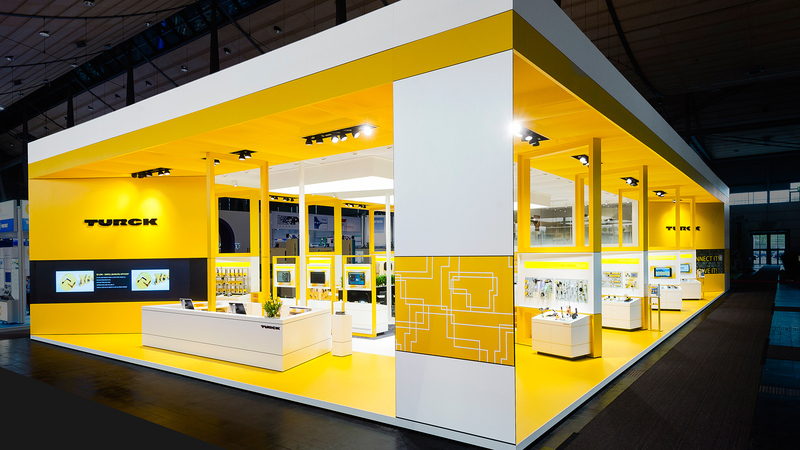 The fair appearance in hall 9 at the Hannover fair designed by Dart was bright yellow and was not only highly acclaimed because of its colour. The shape also adapts to the fair stand’s function. 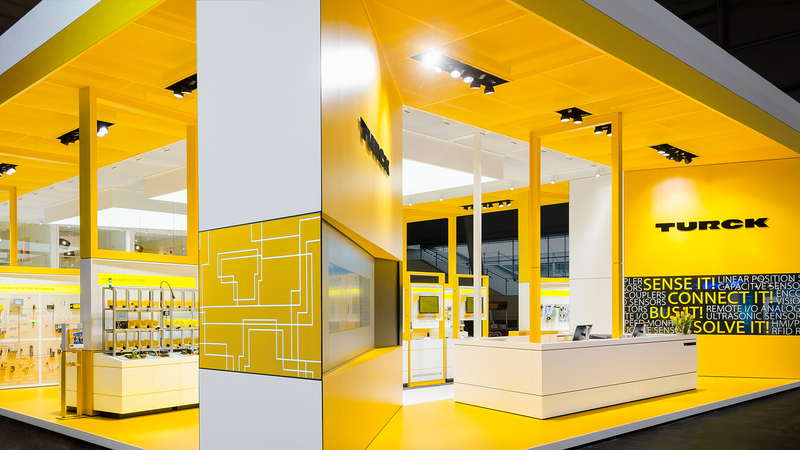 The stand’s architecture with its three zones – arranged in the three CI colours – turns the space into a functional communication landscape as a basis for holistic consulting. 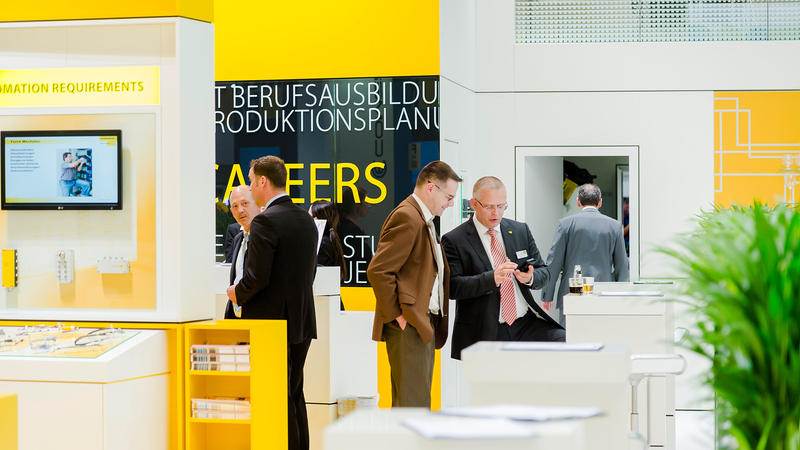 The first zone integrates 350 normed product boards of the company from Muelheim, Germany. 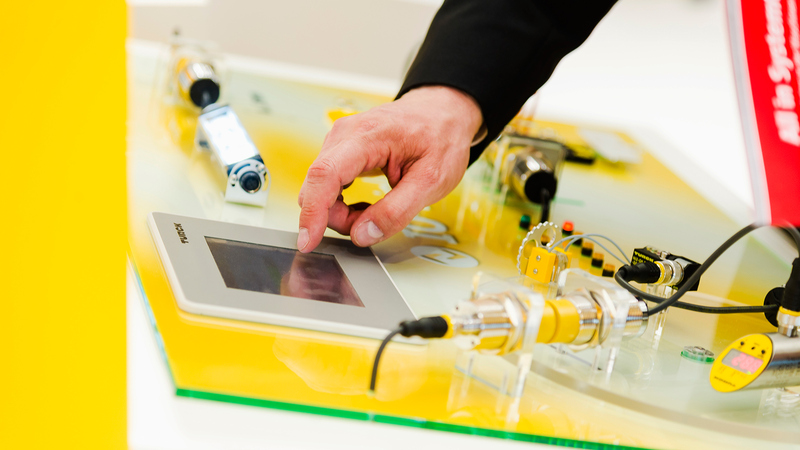 They present its sensor technology for fabrication and process automation live. The path zone behind this area is equipped with white stands on an equally white floor and serves consulting activities that are close to the product. Here, the consulting approaches can be deepened and interaction in this space is optimally used. In the stand’s core there is a communication area, which is arranged in a dark lounge-resembling atmosphere. The guests are entertained with catering and business partnerships are established or strengthened. D’art creates a triad of products, architecture and brand. The emotional aspects also show: the friendly and warm surroundings appeal to the customer and apart from the functionality of the products on the one hand, man is at the center of attention on the other hand. 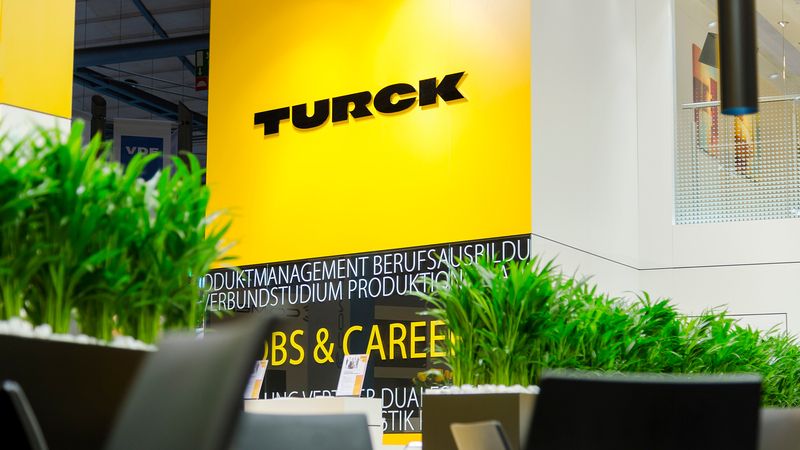 "With Dart we have found a high-performance partner for the new Turck fair appearance that has convinced us from all points of view. 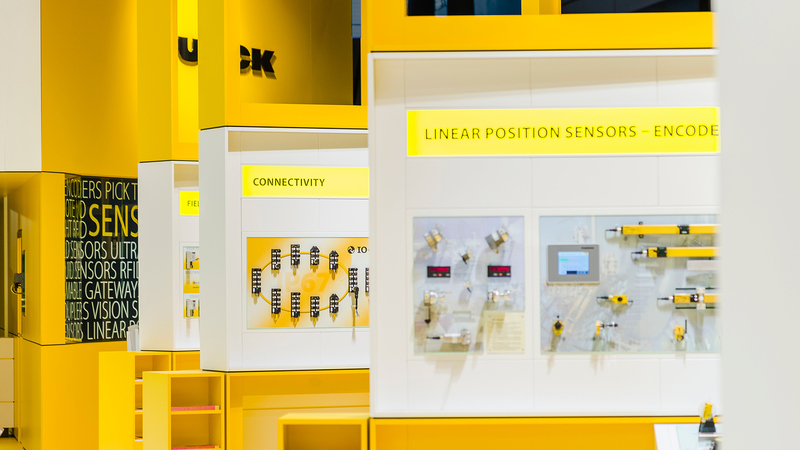 From the first scratch to the timely implementation at the Hannover fair the whole project developed optimally. 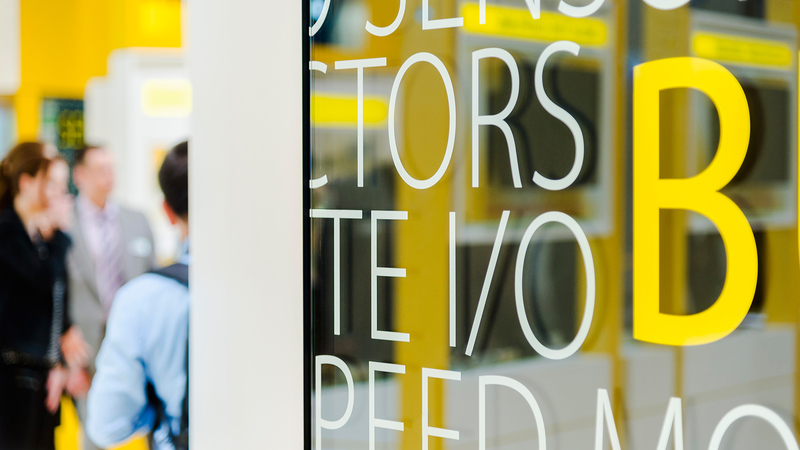 Our expectation to have an emotionally attractive and transparent fair stand, which supports our brand appearance in the best of ways, was perfectly met”.